The story of The Rainbow Fish—the most beautiful fish in the ocean—now available in a large trim hardcover edition—perfect for reading aloud! 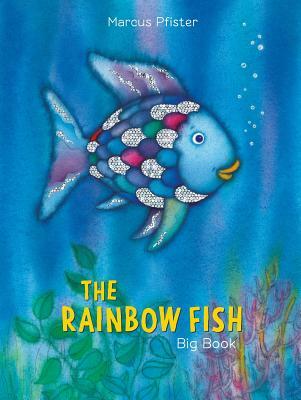 Rainbow Fish has been a favorite of children all over the world for 30 years. Its indelible message is simple—a pleasure shared is the nicest pleasure. Now children can enjoy this story time favorite in this oversized format—similar to the one used by former first lady, Michelle Obama, when she read The Rainbow Fish to children at the White House Easter Egg Roll in 2016.